Compensation Drives Sales Behavior? Is Compensation The Only Tool For Managing Sales Performance? I think this is a fundamental problem. Sales people are motivated by compensation–aren’t all of us. However, tying everything to the compensation plan is wrong. It dilutes the plan–pretty soon the plan gets so confusing with the number of bonus elements, that it no longer becomes a motivator. What are we saying our people should do? Where should they focus? Do we want them to sell? Do we want them to do other things? Which is more important? We need to remember, there are several dimensions to performance management. One is the compensation plan. It should focus on the 2-3 major behavioral and performance expectations you want the sales person to focus on—in the case of sales people, that’s probably something directly related to sales. We want to keep this clear, simple, unambiguous. There is another side to performance management, that’s the performance plan or review process. Too many managers don’t use this–frankly they do a bad job of managing this process and reviewing performance. Just a point of clarification, many think a performance plan is something you put in place for people who are on notice and must improve their performance or be terminated. The performance plan is (or should be) something different. It should set the basic standards of performance we have for each person in the organization. It should establish each person’s goals and objectives for the year–not only their quota, but other expectations we have of the person and their expected contribution to the organization. It provides a framework for the behavioral standards of each person. The performance plan is where managers need to address expectations of the job that may not, or should not, be covered in the compensation plan. If we expect CRM systems to be kept up to date, we don’t want to compensate them on doing this, we want to set it as a performance objective in their performance plan. If we want them to do certain developmental activities, these should be covered in the performance plan. I think a performance plan is critical for everyone. It sets overall goals and objectives for each person in the organization, it outlines areas of personal development, it establishes “MBO’s.” In many organizations, the performance plan and subsequent review is the basis for establishing raises, promotions and other things. Every organization should have a performance planning process, every person should have a performance plan. Managers should periodically review performance against the plan as part of their normal coaching process. The goal is to make sure people achieve their performance objectives, that they are continuing to develop and perform. It’s important for the sales person and the manager to develop the performance plan jointly–it provides the framework for them to work together, making sure expectations are being met, for aligning priorities and objectives, for growth and development. It provides a road map for both the sales person and manager to inspect throughout the year. It provides the basis for a coaching plan for managers. In managing performance, we need to leverage both the compensation plan and the performance plan. Without both, managers aren’t leveraging the tools necessary to develop their people and drive the highest levels of performance. Sales management of performance and compensation has become complex. Something I feel that is lacking is the individualization of performance plans. Different sales people have different strengths and weaknesses. Individual performance plans help build on the positive and strengthen the weaknesses. Tailoring a plan for each salesperson requires more time and effort, but that is the only way to achieve maximum results, and isn’t that what managers are paid to do? Management of non-sales duties is a huge issue. We found that sales assistants, who are paid less per hour, make an excellent solution to offloading much of the clerical and administrative ‘stuff’ that takes salespeople away from selling. And one assistant can serve multiple salespeople. When it comes to compensation, I believe in the KISS method. Unfortunately, there is no one-size-fits-all-solution, but leading a sales team should be about their objective, bringing in business. Individualizing sales plans and minimizing clerical work allows sales professionals to do what they are hired to do – sell. That, IMHO, justifies performance-based compensation. As always, thanks for another thought provoking article and allowing me to share my opinion. Great comments Gary. Each sales person must have an individual performance plan. Unfortunately, both through lack of management training and the press of everyday business, we tend not to do this. You are absoltuely on target with your comments. Thanks, as always for joining the discussion. I agree with what Gary has mentioned. This is the $64mm question that I like and hate. It’s an “it depends” situation – what market you are in, long sales cycle? short? high margins, list price selling? highly competitive, value sell, commodity, up trending market, delcining – and the list goes on. You need to determine that first and then you can start to narrow the question down. It’s the continuous disparity between upper management and the people in the field. 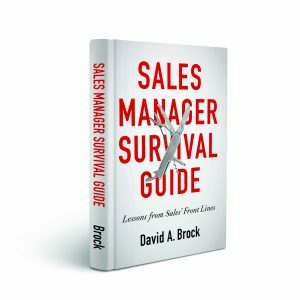 Strong sales managers (reputation, willingness of the sales force to follow, setting goals, adhearing to a standard, empathy, etc.) is the answer – my humble opinion. Annual raises (and compounding) is overlooked for short term incentive. Performance to goals, matched with merit raises should have the most impact if you are looking at long term employees. If all else fails, I’d start with strong managers that are willing to hold the line and let people go that are underperforming against a communicated standard. I believe that sales pros can be heavily influenced by commission, but you better make sure that you get it right, or they will figure out the best way to make it work for them, not necessarily you. Scott, thanks for joining the discussion. You’ve hit on one of my big concerns–the first line sales manager. They are in one of the most difficult positions, often moved into management because they were great sales people, but too often given too little training and coaching on how to be great managers themselves. Overlay this with the short term perspective on performance management and development and we create a difficult situation for both these managers and the sales people. Thanks for your outstanding contributions to the discussion. I hope to see you here again. I just wanted to add to your post that I have always felt that, just like everyone else, salesmen can be motivated by a lot more than just money. A pat on the shoulder, a recognition in front of the rest of the company, competitions (even without rewards, just for prestige) all work well. That can be done for all the above examples you have. Sales training is one I love to use as a reward, this has made the old complaints about having to spend time on sales training instead has become something they fight to win and really focus hard on when they recieve. Daniel, great points. Too often we tie reward and motivation to compensation only. There are too many things that we overlook. Thanks for reminding us. Not getting CRM updated, not attending training etc. Are leadership issues. As you suggest, address the leadership problem. Reading your article reminds me of a quote from the head of the Institute of Marketing and Trade of the University of St. Gallen, Switzerland. He wrote:”Salespeople are not coin operated machines”. Why then do sales managers rely so heavily on the instrument of the compensation plan? I think it is closely linked how they perceive their salespeople and their own role. Managers of field sales people hardly ever can directly monitor their subordinates’ work. So they use an indirect approach looking at their salespeople as business persons who are given a franchise (territory, account portfolio or key account). The compensation plan then is the vehicle that allows to establish a direct relation between a person’s efforts and abilities and their income. as is the case running his or her own business. This view clashes with internal requirements, such as reporting, timely submission of expense reports, keeping data in the CRM system up to date etc. I agree that these aspects are better coverd with a performance plan. However this can only work if the effort needed for such activities is considered in the assessment of the capacity remaining to do the primary job of selling and sales targets are set accordingly. Christian, thanks for the comment. It adds a lot to the discussion. No one mentioned “asking the sales people what they want”. Each sales professional approaches his/her responsibilities from a uniquely personal set of wants and needs. Yes, it would require a significant amount of extra work from the sales manager(s) to derive the ‘motivation equation’ for each individual contributor. But, once you have this you’re golden. You may want to look to the DISC profile (or similar tools) for some insight into how to leverage technology and accomplish this ‘deeper dive’ across a larger number of people. Sometimes the most simple answer is the right one. Just “ask”. John–somehow seems to simple to aks people what they want 😉 Great observation, thanks for joining the discussion! 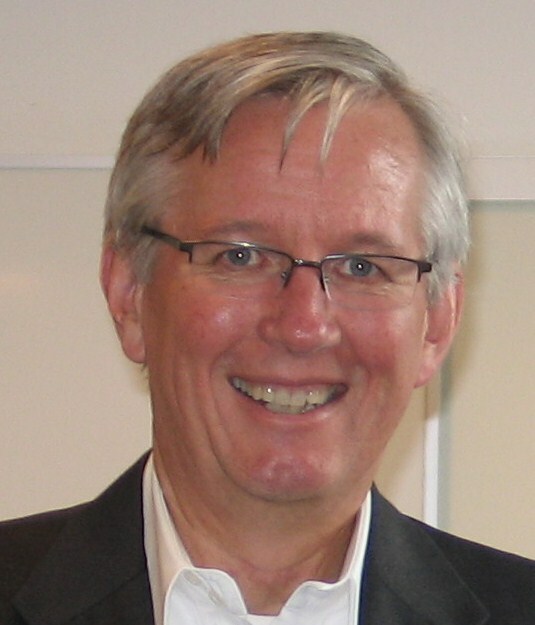 David – I agree that a “one-size-fits-all” approach will not work. Different people are motivated by different things. Painting all salespeople with the same brush by saying they are all motivated by commission/compensation only is short-sighted, as others have mentioned. A more logical approach would be to determine what motivates them through assessments that identify not only what motivates them, but also their behavioural traits and learning styles. Excellent information that makes those yearly performance reviews much easier and more productive. Great observations Brenda, thanks for joining the discussion. Each organization will have a different approach, and with each individual the approach will be slightly different–driven by differing performance and development plans. The important thing for managers is to realize they have several tools to motivate and manage performance. Using compensation exclusively is just not a great approach. John, this is Brilliant! Thanks for calling it to my/our attention. If you don’t mind, I’ll do a blog post on this (giving you full credit). Thanks for the contribution. This is an amazing piece; great information and beautifully illustrated. Anthony, thanks–it’s really the comments and discussion that make this standout. Thanks to all the commenters! John’s link to the Pink presentation is phenomenal! The message is from his book, Drive. I read it earlier this year and it has caused me to re-evaluate many management and leadership practices. 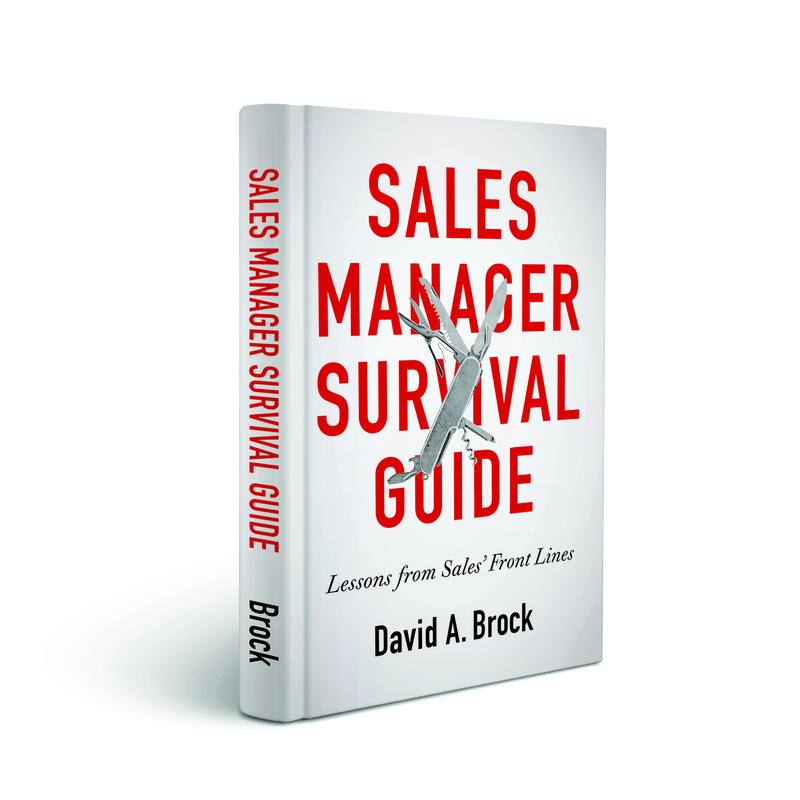 David, to your question – Is compensation the only tool for managing sales performance? No! Even the term ‘managing sales performance’ seems limiting. Besides Pink’s book, another book that ties into the subject is called Influencer by Patterson and others. Their premise is that we all need to influence others – and what it takes to do so. Key is knowing which behaviors you want to influence and then they lay out what all good influencers do. I don’t recall $$ being one of them. From working with sales teams over the last 20 years, I have to say that incentives just for admin actions is a short term fix at best. And it is a way for lower performers to continue to stay out of selling activities and be rewarded for it. The high performers resent it…and will still not do it. Activiites need to be tied into the ‘what’s in it for them’ – and that might be different for each person. One comp plan I saw years ago was that the high performers could earn $$ towards administrative assistance to do these things…allowing them to spend even more time on selling activities – and everyone benefited. Nancy, thanks for joining the discussion. Your experience tends to align with mine. One of the major challenges is that too often managers use just one tool—the compensation plan—to manage performance and to motivate people to do what they need. A lot of research shows compensation (even for sales people) doesn’t motivate the behavior we want as effectively as we hope. More importantly, managers have many other tools for managing performance, one of the most important it the performance planning process. Managers must look at all the tools in their tool box, using the most appropriate to drive the behaviors and results they expect. The best motivation is to demonstrate that what you are reqesting is useful for the salesperson-self. Demonstrate that reports are red. Demonstrate that there is a use of information filled on CRM to update strategies and inventory. Demonstrate that preparing a salesperson with course on product or selling tecniques is for increase his efficience and efficacy. Demonstrate that today is necessary one step back to do tomorrow two step ahead. Ivano, great comments! You raise some interesting points. Too often, we fail to communicate to the sales person what we are trying to achieve, why it’s important, and why they should do it. We tend just to dictate it, this is ineffective. We need to show sales people how what we are doing makes them more effective and helps them win more business. Sometimes, we need sales people to do things, not because it makes them more effective, but it makes the organization more effective. Reporting often falls into this category. If the sales person understands the business need and importance, and there is no other way to get the information, it’s been my experience they will do it. However, too often managers ask for reports and don’t use the information—this is a waste of everyone’s time. If a manager is asking for a report they must use the information. Incentive compensation plans do drive sales behavior; unfortunately, they do not drive administrative or participation behavior. I agree that incentive compensation should not be tied to task accomplishment. Administrative, participation and personal development are the cost of entry into the sales position. Somehow, we need to find a common goal between managements need for the extraneous task completion and a salespersons avoidance of those tasks. We need to show the salesperson what’s in it for them. Mike, thanks for the comment. Incentive compensation is just one of the tools that sales managers have to drive sales behavior. There are a number of other critical tools managers may leverage to produce better results. As always, they are best applied when the sales person understands what’s in it for them.